Biscuit jointing has proven to be one of the strongest, fastest, safest and most accurate ways to join hard and soft woods, plywood, composition boards etc. Compared to dowelling, biscuit joinery is faster and more precise. 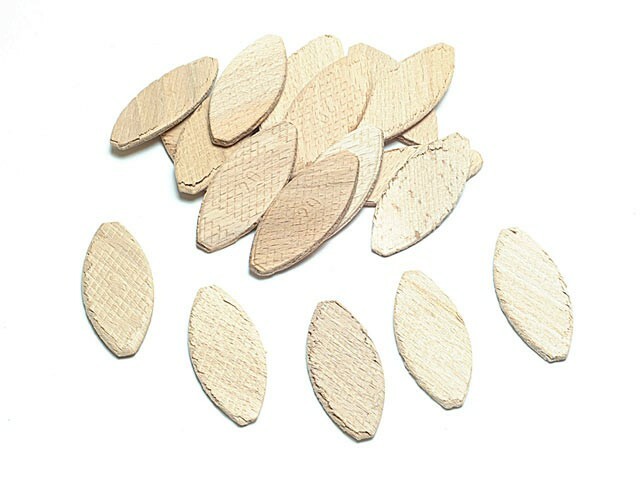 The biscuits are made of laminated beech which is then compressed before being die cut. Beechwood biscuits expand up to 20 per cent when in contact with a woodworking adhesive. (e.g. PVA Glue).